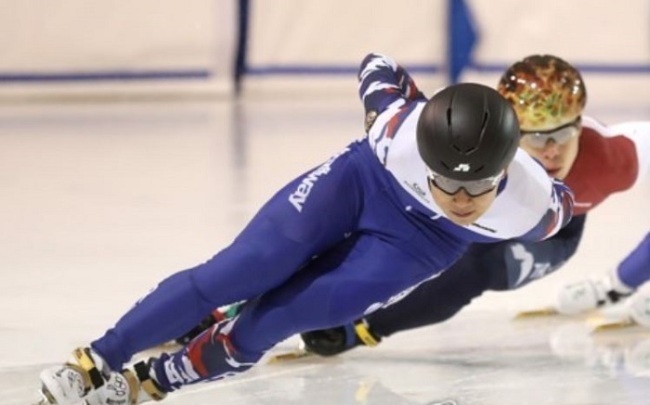 South Korean-born Russian short track speed skating star Victor An will not be allowed to compete at the upcoming Winter Olympic Games, sources said Tuesday, presumably due to alleged links to Russia's state-sponsored doping scandal. Citing an anonymous source, Russia's TASS news agency reported that An is not included in the list of Russian athletes heading to PyeongChang. Other local media also claimed that An and some of his colleagues are banned from the event. While the grounds for his exclusion were not immediately known, it is presumed that An was implicated in the state-led doping scandal. Born Ahn Hyun-soo in South Korea, the living legend currently holds six gold medals under his name, three of which are from the 2006 Winter Games in Torino, when he was still a South Korean national. Following factional feuds within South Korea's national skating federation, An won Russian citizenship in 2011 in a bid to find a new home where he could focus on his training. An shot up to stardom in his new home by grabbing three more gold medals at the Sochi Winter Olympics. An has won more Olympic gold medals in short track than anyone in history. Still active, he was widely expected to visit the Winter Games hosted in his original home country for his swan song after winning a silver medal in the men's 500 meters at the 2018 European Championships earlier this month. But his career apparently faces another hurdle. In December, the International Olympic Committee banned Russia from taking part in the PyeongChang Winter Olympics following an alleged state-led doping scandal. Instead, athletes without traces of unapproved drugs were welcomed to participate as Olympic Athletes from Russia. The Russian flag and anthem, however, are still banned at the games. Earlier this month, the IOC said it carried out "extra scrutiny" on athletes from Russia in order to ensure drug-free competitions.